I have never planned a birthday party before in my life! I tried to plan Hubby's 25th birthday party but it was an EPIC FAIL! I do not want my daughter's birthday to be remembered as such. It's hers first and although I know she won't remember it, I want the pictures to show that it was beautiful and fun. Hot Cocoa bar, smores, etc. I've been looking around now for things. But I've also been looking online at stuff that maybe I could make. 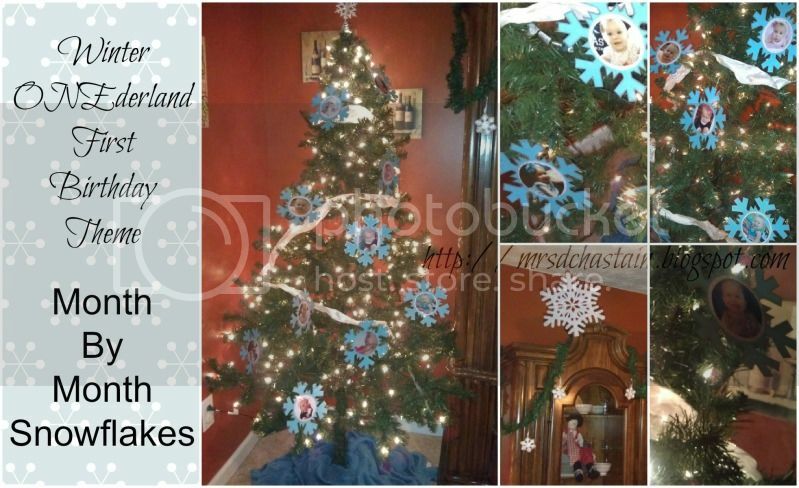 I used the snowflake template found HERE. View all my other pinned ideas HERE. I sent out a Save the Date on Facebook to see a rough estimate of how many are coming. 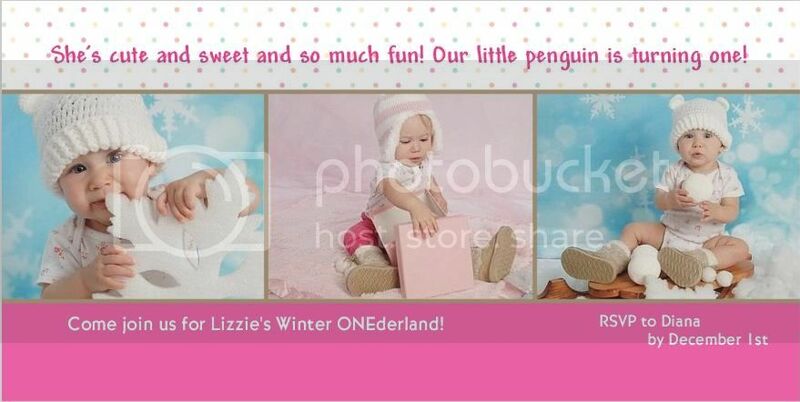 But I ordered formal invitations through Shutterfly with my Pampers GTG points. so cute! love those cakes ideas! Thanks again for participating in the Tuesday Baby Link Up! So freaking cute! I love the theme!!! 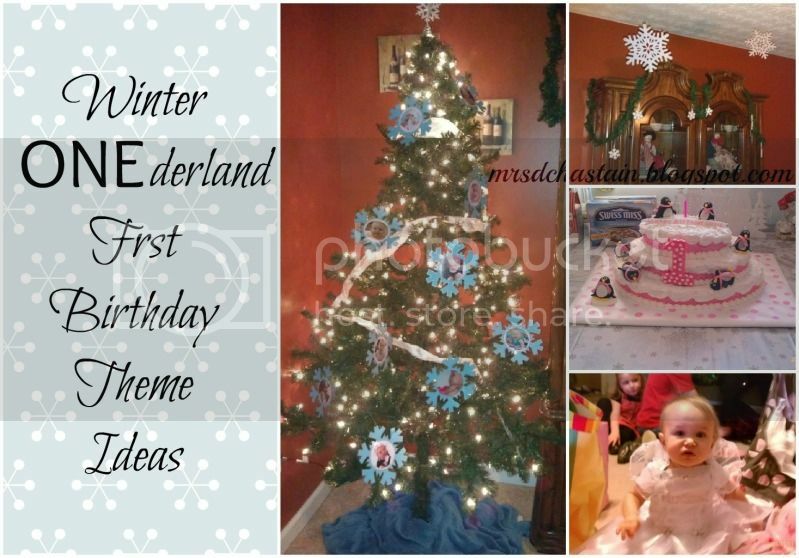 What a cute theme, I have already started planning my daughters first birthday in march. Thanks for linking up to Raising Imperfection! I am also loving the cakes! We never go all out like that on birthdays.... I don't do planning very well. I have a post about my lack of birthday planning skills. Thanks for linking up with the Clever Chicks Blog Hop this week! 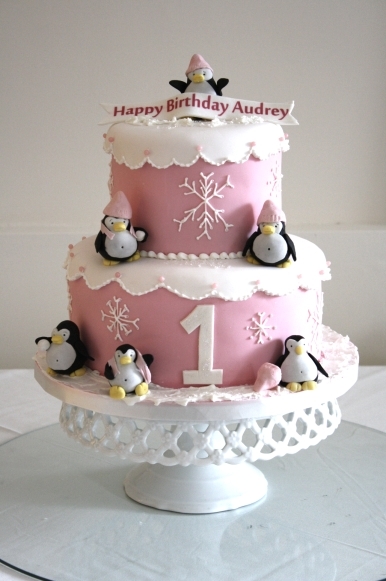 What an adorable theme for a first birthday party! Thank you so fairy much for sharing on my Snowflake Blog Hop. What great ideas! Makes me wish I had a baby to do it with!